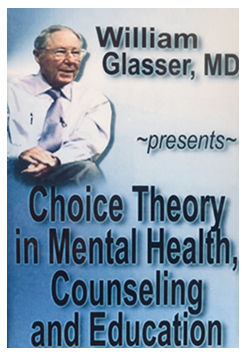 This groundbreaking classic has sold over half a million copies and gained worldwide recognition for Dr. Glasser as an author and lecturer. 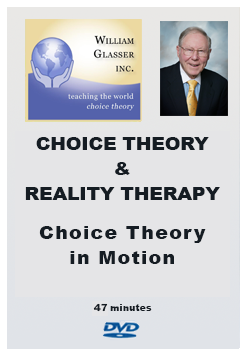 Contrary to Freudian psychoanalytic procedures, Dr. Glasser offers a very different therapeutic approach- Reality Therapy. 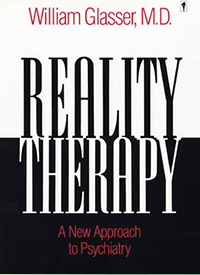 Now widely accepted and utilized internationally, Reality Therapy focuses on assisting individuals to fulfill a person’s basic needs; to loved and be loved, and to feel worthwhile to oneself and to others. 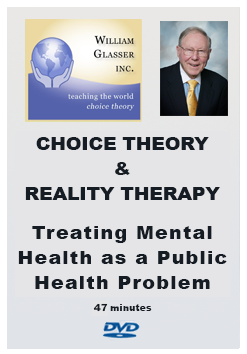 “Do these widely different behaviors indicate different psychiatric problems requiring a variety of explanations, or are they manifestations of one underlying difficulty? We believe that, regardless of how he expresses his problem, everyone who needs psychiatric treatment suffers from one basic inadequacy: he is unable to fulfill his essential needs. The severity of the symptom reflects the degree to which the individual is unable to fulfill his needs. 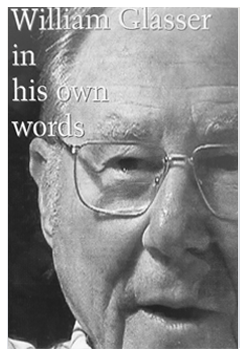 No one can explain exactly why one person expresses his problem with a stomach ulcer while another fears to enter an elevator; but whatever the symptom, it disappears when the person’s needs are successfully fulfilled.” — – William Glasser, M.D.